A walk down the narrow lanes of the revered Hazratbal shrine, with its elaborately laid out bread spreads and an air of antiquity, feels more like wandering through the streets of a medieval bazaar, than a 21st century market. Not much has changed in these family run bakeries for decades, where hot breads are dished out each day, unfailingly at the crack of dawn. 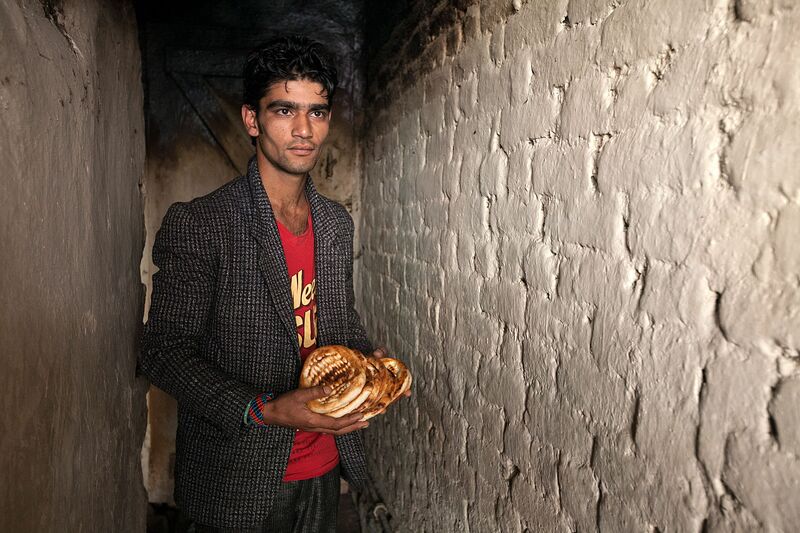 You will find at least one baker (kandur) in the heart of each locality, where residents queue up with their wicker baskets after the morning prayers. But as the younger folk look out to move to better jobs, the legacy of this enterprise is slowly crumbling. Each year more and more kandurs wind up, begging the question as to how long the tradition will survive. But all is not lost as yet, so next time you’re in the valley make sure to sample a few of those delights. 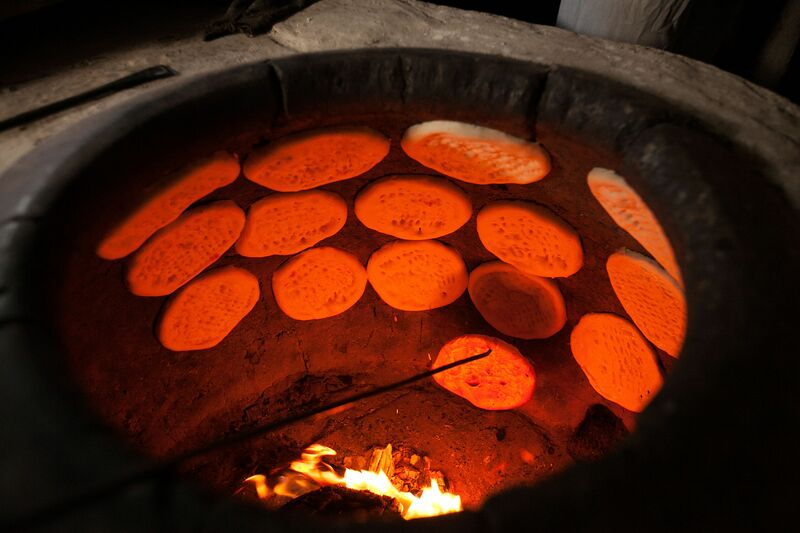 Bakers all over the valley still use a traditional mud tandoor fired with wood. To get it going they start as early as 4am and hot breads are rolled out just as the morning prayers get done. 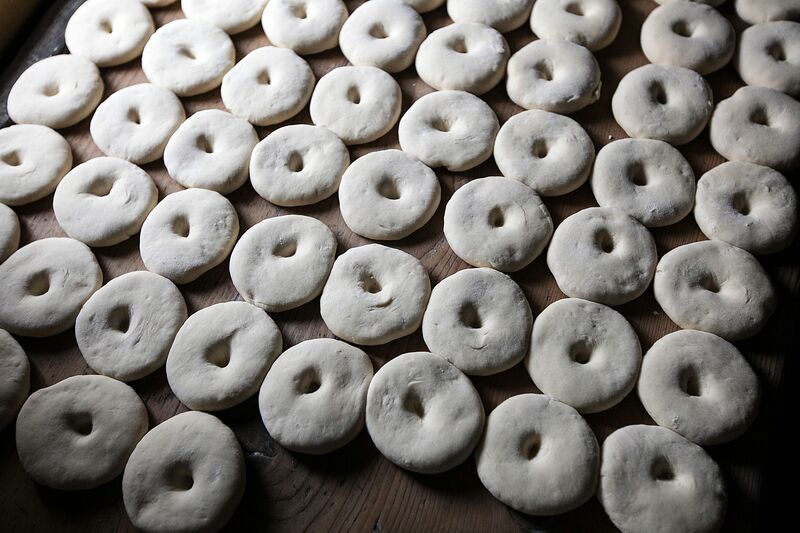 The first items to be fired up are girdas and lavasas, best savoured with a refreshing cup of kahwa (Kashmiri green tea) or nun chai (salted tea). 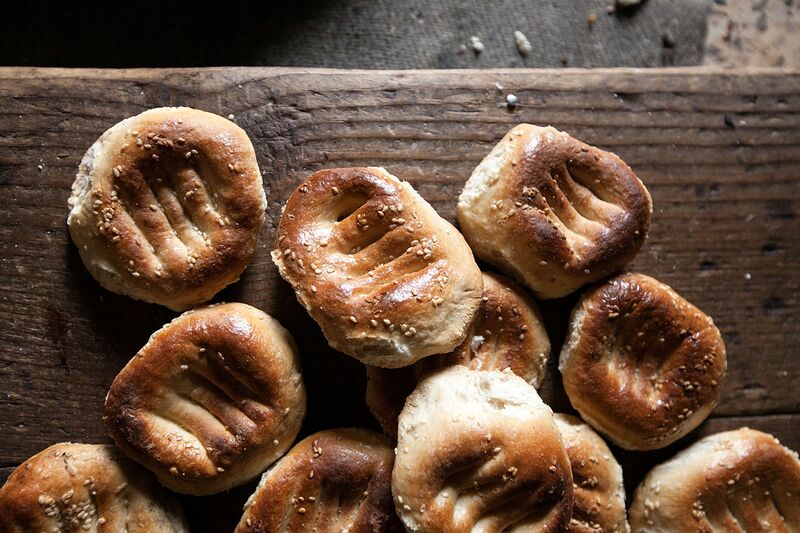 For the afternoon tea there is tsochvar, a bagel-like bread sprinkled with sesame seeds. While most prefer it with nun chai, some also have the regular milk tea, which is called lipton chai in these parts. 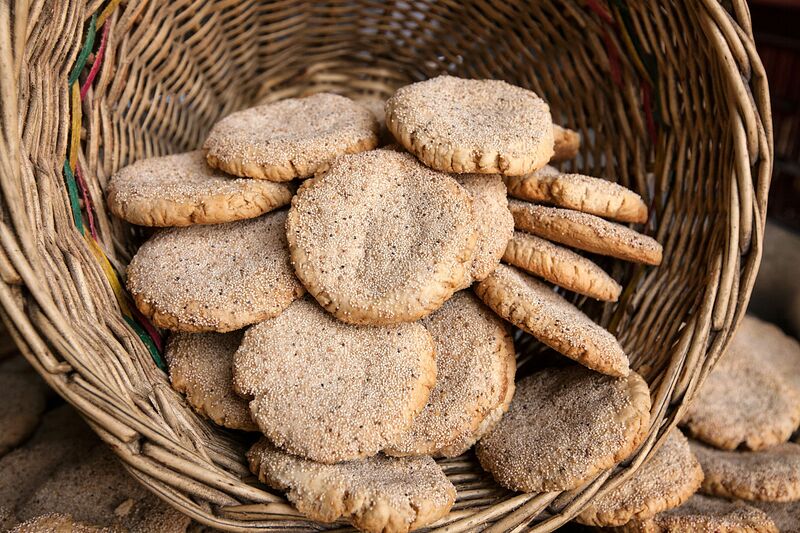 It is said that during the reign of the Mughals at least a hundred different breads were made in the valley. But as of today, only around 20 odd remain popular. 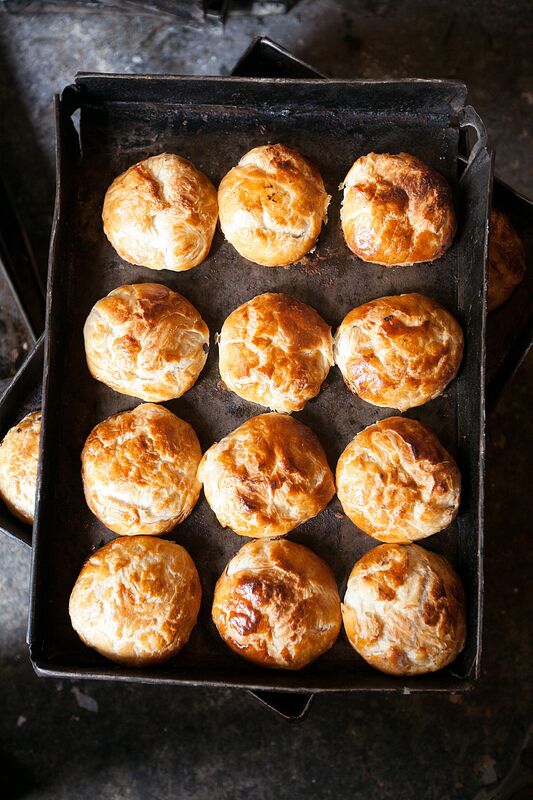 Baqerkhani, a flaky pastry serves as a good snack for a round of evening tea. 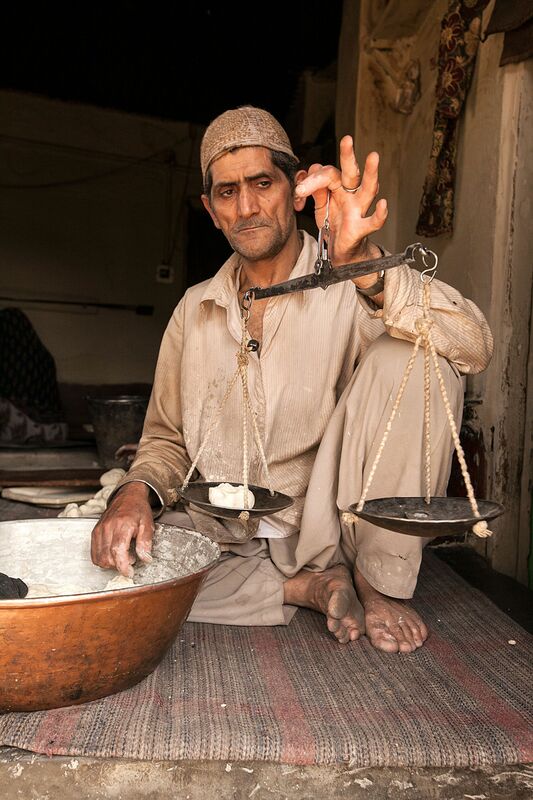 The bakers outside Hazratbal shrine make some of the best of this variety. 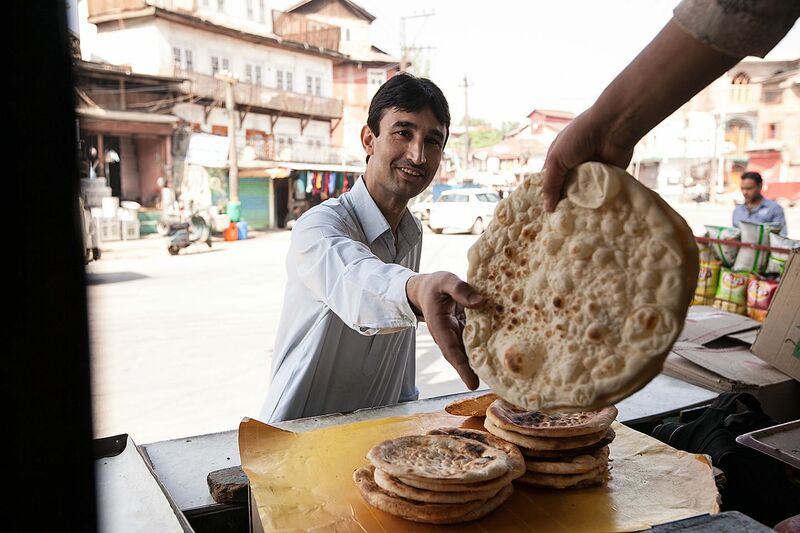 Differernt parts of Kashmir are famous for different types of breads. Like Baramula for namkeen kulcha, Pampore for sheermal, Sophia for Krip and Anantnag for katlam. Each baker has a delivery boy who runs the daily orders on a bicycle. Come rain, shine or snow his day starts at sunrise. 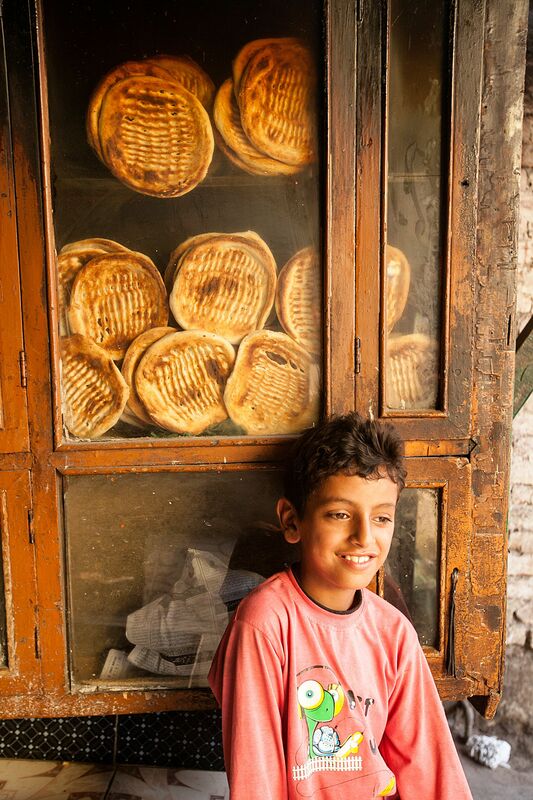 He quickly finishes the stock, deposits the money back at the bakery and then rushes off to school. 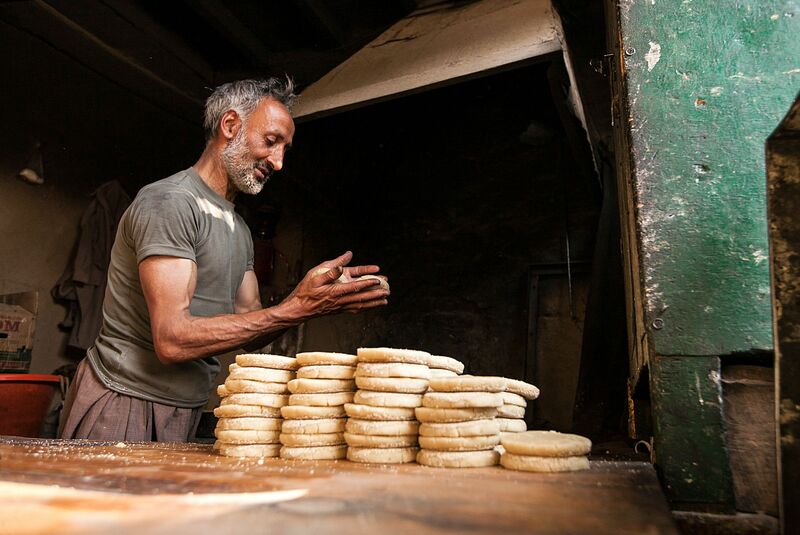 The bakers in the old town of Srinagar are some of the oldest in the valley. 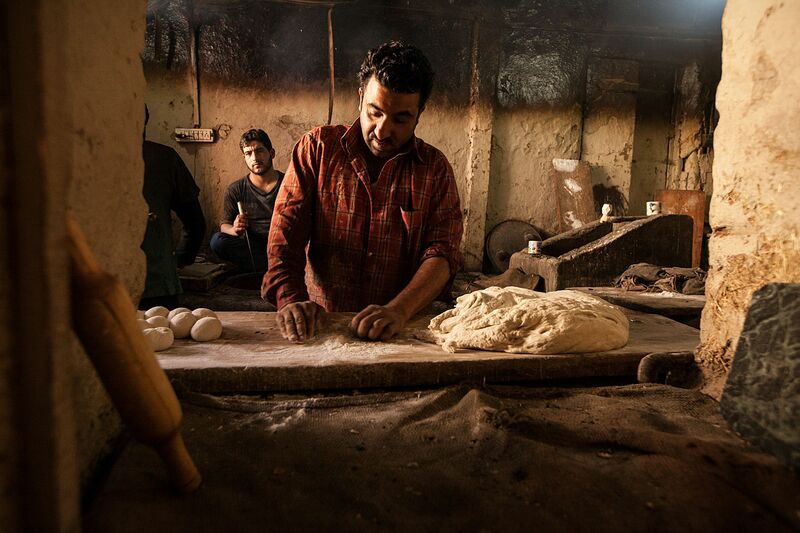 An elderly native here measures the dough before it goes to the oven. For the marriage ceremonies a special variety is baked called roth. As per tradition the bride’s parents pack this meter long bread decorated with almonds, cashews, and poppy seeds for the journey to her new home. The local kandur is where everyone catches up on the neighborhood gossip. Early mornings and afternoons see the most activity at the bakers. Being a family run business, all members of the family contribute in the making of breads. The women generally ready the dough while men work on the tandoors. 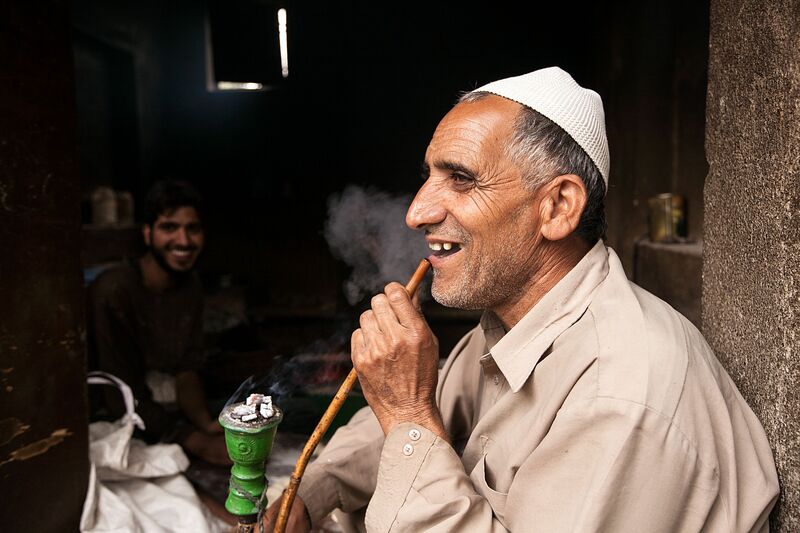 Here, Yasinji enjoys a hookah after a hard day’s work.